Sooner or later, most real estate practitioners will encounter a property involved in a bankruptcy. Because bankruptcy laws, and the resulting discharge of debts, provide debtors with a fresh start, a homeowner with a heavy financial burden may file for bankruptcy protection. But unlike some debts, mortgages are secured by collateral – in this case, by the home itself, with the mortgage lender as the lien holder. While bankruptcy may eliminate the debtor’s personal obligation to repay a secured loan, the mortgage (or trust deed) itself – that is, the lender’s lien against the home securing the loan – survives. Bankruptcy does not wipe out the mortgage security. This can complicate matters for the buyers and sellers – and for their agents or brokers. The more you know about what is entailed, the better prepared you will be to help guide clients through the sales process. Brokers may be required to be pre-approved by the bankruptcy judge. The bankruptcy laws require that professionals working with the estate in bankruptcy must be ‘disinterested,’ or free of conflicting loyalties. The court may require that they approve pre-sale repair costs. Vendors extending credit for repairs after the bankruptcy is filed but before sale will want pre-approval by the court, to assure that their bills will be paid ahead of debts that existed when bankruptcy was filed. A sale must be approved by the court. Once in contract, creditors must be notified and afforded 21 days in which to file an objection. Also, when the court issues orders approving the sale, or extinguishing a lien, the orders are not final until an appeal period expires. ‘Upside down’ sellers may be good ‘short sale’ candidates. If the market value of the home is less than what is owed, the lender may agree to accept less in exchange for releasing the mortgage, in order to facilitate a sale at market value. Sellers with equity can be good news or bad news. On one hand, the workings of the bankruptcy can buy the broker time to find a buyer and close a sale. On the other hand, sellers in bankruptcy may be in denial about how much their home is worth. Bankruptcy timing can impact sale. If a seller files bankruptcy after a contract has been signed, the buyer may elect to back out of the deal. But if the seller and the bankruptcy trustee seek to close on the sale, you can help it to happen. 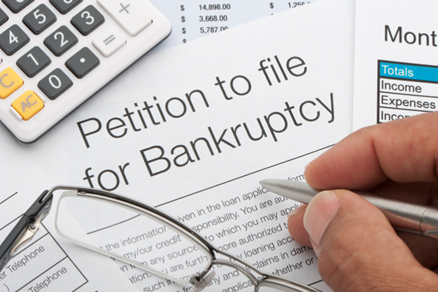 You should consult a bankruptcy attorney to explore the options for keeping the deal together.